The response to Bento 101, my introductory course to the basics of bento lunch making, has been overwhelmingly positive. So I've decided to follow it up with another structured online course titled Japanese Cooking 101: The Fundamentals of Washoku. We'll be conducting it here on Just Hungry since it's about general cooking methodology rather than specific to bentos. As you may already know, the cooking that goes on in Japan is roughly divided into 4 cuisine types: Washoku, yohshoku (or yoshoku), chuuka, and everything else. The first three, washoku (which means "Japanese food"), yohshoku (meaning "western food" see a description of yohshoku) and chuuka (Chinese food) comprise most of what Japanese people cook for themselves every day. And of these washoku, which comprises what's considered traditional Japanese food, is the most important to learn if you want to master Japanese cooking, since it forms the foundation for everything else that goes on in the Japanese kitchen. In this course you'll about the fundamental building blocks of washoku and Japanese cooking. After completion you should be able to tackle Japanese recipes with a lot more understanding and ease. It may even help you to recognize the difference between good and not-so-good Japanese food when you eat out. 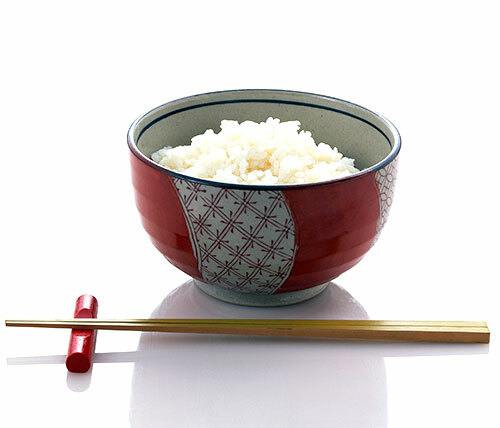 During this 5 part course, we'll be making 5 dishes: rice, soup, and three okazu - the foods that go with rice. (There may be some variations to each item too.) Each dish will teach you specific skills and flavor combinations that are used all the time in Japanese cooking. And as a bonus, at the end you'll have a "full course" Japanese meal that you can serve proudly to anyone, even your Japanese friends, with the knowledge that it's pretty authentic. Nope. Just like Bento 101, it will be free. Because I want to teach you what "real, authentic" Japanese food should taste like, you will be required to purchase some ingredients that are fundamental to the cuisine. While I usually offer ideas for substitutions and so on in my recipes, for this course we won't be doing that. This does require you to make an initial investment in some foods that may be rather expensive or hard to get, depending on where you live. If that is an issue for budgetary or other reasons, then this course may not be for you. Unlike Bento 101, the focus of Japanese Cooking 101 will be entirely on cooking and cooking techniques. You should take this course only if you're seriously interested in Japanese food, and in cooking in general. You should know your way around the kitchen. You don't have to be an expert, but you should know how to wield a kitchen knife, cook something simple on the stove, and so on. However, I am going to assume that participants have no prior knowledge of how to cook Japanese food. I'll be explaining what each ingredient is, and how it's used, in detail. So it may be a bit too basic and tedious for people who have been making Japanese food for a while. You'll need access to a computer or some way of getting online of course. If you want to share your results visually, you should have a camera or camera phone etc. The meal we'll be creating will contain meat and fish products, so it may not suit you if you're a vegetarian, although you may find some techniques useful. Since two alcoholic products, sake and mirin, are fundamental to washoku, if you have any reasons for avoiding alcohol in cooking this course may not be for you. Last but not least, you'll get the very most out of this course if you follow every lesson in sequence and do each assignment. I estimate that it will require about 2 hours of your time per week. The course will go on for 4 to 5 weeks, and consist of 6 lessons with at least 5 cooking assignments. There's no formal sign up process. Just follow along when we start in March! So there you have it. Interested? Questions? Let me know! I'll post the required materials and so on later this week. Submitted by maki on 2013-02-18 14:17. How exciting! Found you through an article on Zite. Can't wait to get started cooking. I am looking forward to learning the basics of Japanese cooking. We bought our ingredients this evening at our local Asian market. The owners and two young customers helped me find everything. Thank you so much for offering this course. I love Japanese food and most kawaii Japanese stuff!! Thanks in advance for showing us how to make authentic Japanese cooking. Yes!!! I've been hoping you would do something like this...I'm super-excited to get started, even though I'm arriving a wee bit late to the party. Thanks again...I'm going to dig in and catch up. Ramping up now to try this course out. Thanks for all this hard work! By the way, you mentioned in the past something about a new book ? Have your first and will happily buy the next one. No new book yet in the near future ^_^ Thanks for buying the JB Cookbook! Do you have any plans to offer the Japanese cooking 101 again? I would love to learn. Failing that, when you find time, could you post some techniques and tips for the newbie japanese cook? Just hungry and bento are fantastic! Thank you.